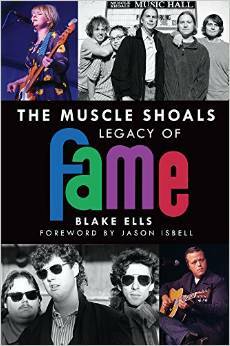 To celebrate the release of The Muscle Shoals Legacy of FAME, I’ll be doing a signing at Alabama Booksmith in Homewood on June 29 from 4-6 p.m. There, you’ll be able to purchase a limited edition hardback first edition of the book. If you’d like to reserve one of these hardcovers in advance, you can do so at Alabama Booksmith’s site. Alabama Booksmith will be the only place hardbacks can be purchased. Hardbacks are $27.99. Live out of the area? I’m hoping that I can make my way to you soon, but in the meantime, you can preorder the book on Amazon.